Our Coaching Team is renowned for its enthusiasm, punctuality and consistency. All members of the Pro Sport team strive to be the role model that makes a difference to your child’s sporting life. We select new coaches carefully to maintain our high standards and are committed to continuous ongoing training and personal development. It is vital to us that each member of the coaching team reflects the ethos of the company - our coaches have great relationships with the children and staff at the schools they visit. As you would expect, Pro Sport coaches are all fully qualified First Aiders, DBS checked and trained in Safeguarding for children. Adam created Pro Sport Coaching in 2006 and has built it into one of the leading sports providers in Lancashire. Pro Sport Coaching has developed an excellent reputation for being reliable and offering cost-effective and high quality sports provision. 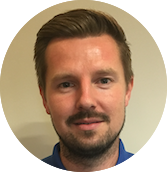 As well as running Pro Sport Coaching and sister company Diddy Dribblers, Adam is also manager of Farsley Celtic Football Club and holds his UEFA ‘A’ License. 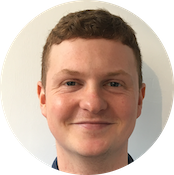 Josh is a graduate in Sports Coaching BscHons from Leeds Beckett who is enthusiastic and wishing to put his knowledge gained from the degree programme into practice. Hobbies include playing a variety of sports, however football is his main passion. His is looking to progress through many coaching badges and help the development of children across the spectrum. 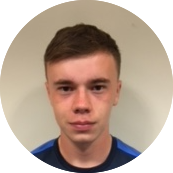 Ryan joined Pro Sport Coaching in January 2017 with his enthusiasm and passion for sports development shining through in our recruitment process. He is very focused and wants to improve himself each day which we know he will working alongside our more experienced coaches. He is an excellent young coach who has further strengthened our talented coaching team. Jack is currently studying at UCLAN doing Sports Coaching. He joined Pro Sport in January after 3 years of working at Teamtheme. His favourite sports are football and golf. As a coach he hopes to gain his UEFA B License. Meet Scott, our newest recruit to our coaching team! Scott joined Pro Sport in Feb 18 and we’re pleased to have him on board. He’s currently working towards his BTEC level 3 in Sport at Accrington and Rossendale College and is passionate about football. Scott has run a Saturday morning grassroots team for the last three years and also plays in two weekend teams, Haslingden St Mary’s and Globe Buller Park Adults. Passionate about sport, Jack began his coaching career aged 16 as a volunteer and was twice named Young Volunteer of the Year at county level and also District Coach of the Year. 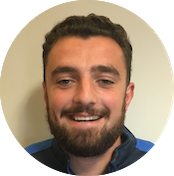 Jack has worked for Paris Saint Germain Academy England, which educates and develops young footballers and also Accrington Stanley Community Trust. Having studied Sports Coaching & Performance at university alongside working in schools full time and at grassroots football clubs, Calum has joined Pro Sport Coaching with great enthusiasm to help the next generations to love sport and develop a passion for exercise. He is looking forward to joining the well established team here at Pro Sport Coaching and improve even further upon the great work we have already achieved. Zac is 21 years old and passionate about sports. For Zac, the best and most important thing about coaching sport is the fact it brings together children from all different types of backgrounds and gives them the opportunity to participate as part of a team, as well as challenging themselves individually. And of course, they get make new friends too.